Merkel's spokesman says in Tweet - congratulations to Emmanuel Macron, your victory is a victory for a strong and united Europe and for Franco-German friendship. Very early returns from the interior ministry indicate abstentions so far as high as 29%. Out of the voters who did present themselves, 8.7% cast blank votes and 4% spoiled their ballots. Health warning: these are very early figures based on 5.8 million out of the 47 million people who were eligible to vote in this election. Prime Minister Cazeneuve says French people have chosen to keep their place at the heart of Europe. 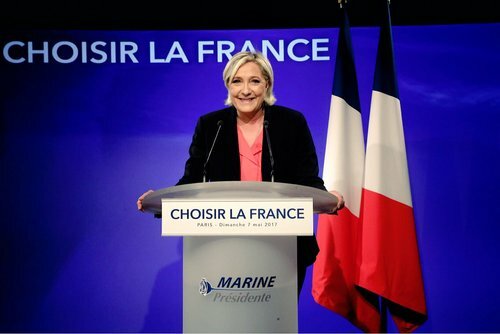 Le Pen concedes defeat - "France has voted for continuity"
Paris' main mosque says Macron's election gives hope to French muslims, that they can live in harmony and respect French values. "It's clear from these results that the participation was not very high, and French society is fragmented. In the immediate aftermath, one of Macron’s duties will be to reconcile France. give the elected president a majority. to implement his whole legislative project." Waechter says the most important reforms from a market point of view will be Macron's plans to overhaul the labour market. "It's a change and it's progress. 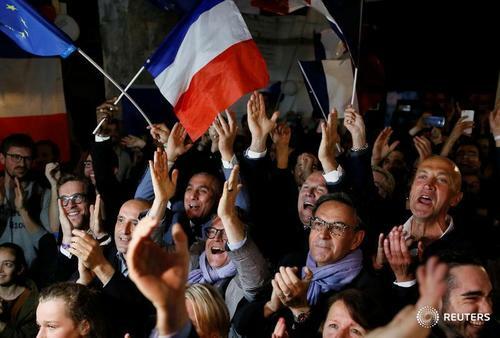 We said no the old parties in France and resisted falling into extremism," Benoit Picotrobillard, a 26-year-old salesman from the Paris region, tells Reuters' Sarah White at the rally of Macron supporters outside the Louvre. First voting returns (via Reuters' Sybille de la Hamaide at the interior ministry). Note high abstention rate. Market participants are of course starting to speculate over the possibility of Macron getting a ruling majority in parliament. reforms," say JP Morgan analysts. day," says UBS Wealth Management economist Dean Turner. JP Morgan highlights some important policies for markets, including lowering the corporate tax rate from 33% to 25%, keeping the retirement age unchanged, a 50 billion euro investment plan into education and the environment, a budget deficit below 3% over his five-year term, and a Euro area budget approved by the European parliament. And investors reckon the removal of this French political risk could lead to a better performance from the overall Eurozone economy. "Fading political risk in France adds to the chance that Eurozone economic growth can surprise to the upside this year," says Berenberg bank's Holger Schmieding. ReutersUnknown just three years ago, and with a party only 12 months old, Emmanuel Macron has seized the presidency against all the odds. His challenge now is to govern. Macron's election also means a new European leader will join the fraught negotiations with the UK as it navigates towards its exit from the European Union. Opimas, a management consultancy, reckons Macron will be uniquely tough on Britain and his policies, especially slashing the corporate tax rate, could contribute to Paris siphoning off all-important financial services and other businesses from London. Macron is going to lower corporate taxes, create incentives to invest in equities, and reduce red tape. This will make Paris a magnet to wrest business away from London. At the same time, he has made it clear that he opposes any special arrangement between the UK and the European Union post-Brexit," says Octavio Marenzi, Opimas CEO. clamour of boos came from a small group of supporters as projections announced Macron's victory at 8pm. 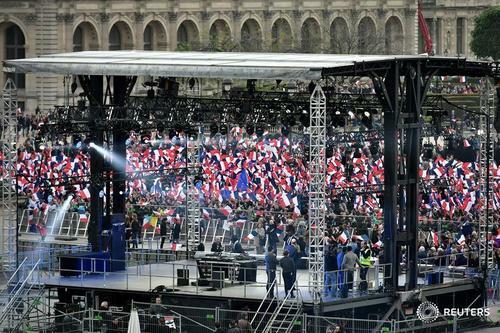 French flags. Others chanted "Marine-la-voix-du-peuple!" (Marine, voice of the people). "It's exceptional, what has happened. Now for the legislative elections (in June). It's still a victory for us, we'll keep going," says young supporters' organiser Gaëtan Dussausaye, 23. Perier, 76, adds: "It's not a surprise even if I am disappointed....I think the (televised second-round) debate is where it went wrong....Now we look to rebound in the parliamentary elections." 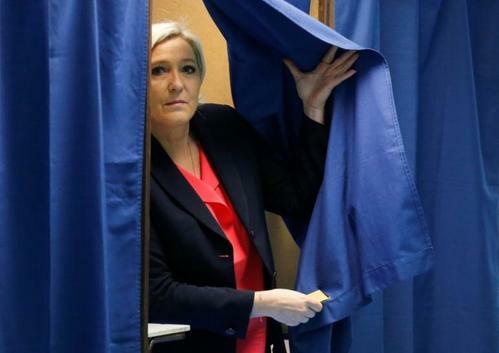 I am delighted that the French people have decisively rejected Le Pen's politics of hate. 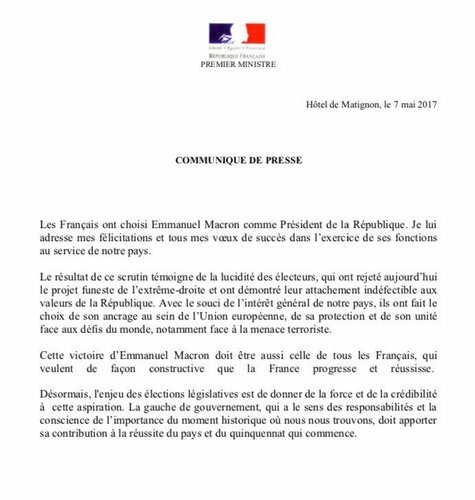 "A new page in our long history has turned," says Macron in a statement to Reuters. "I want it to be that of rediscovery of hope and trust." 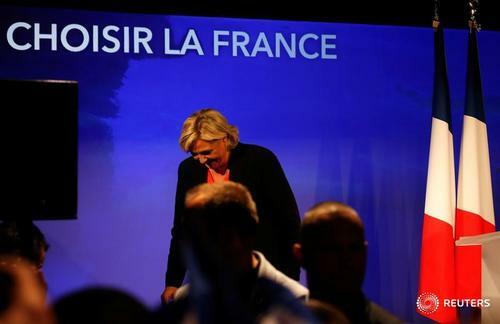 ReutersFrance's far-right National Front must be relaunched, Marine Le Pen said on Sunday after conceding defeat to centrist Emmanuel Macron in France's presidential election . 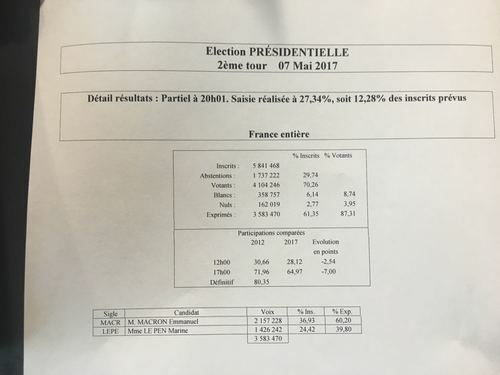 Spokesman for Jean-Luc Melenchon, the left-wing candidate defeated in the first round, says Macron's win was a vote against Le Penm, not for Macron's policies. 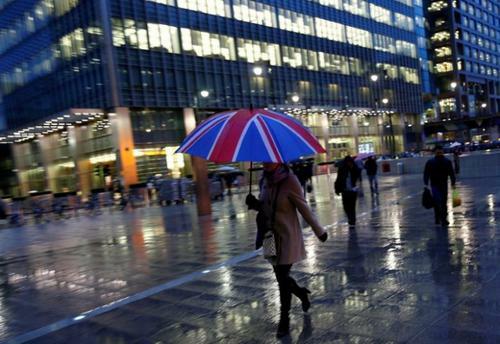 ""We are expecting the European markets to roar when traders start trading. This has eased a lot of concerns and investors will feel more comfortable in holding the riskier assets," says Naeem Aslan, London-based analyst at Thinkmarkets. "Clearly the fact that political risk has reduced could see investors globally converging towards Europe," says Vincent Juvyns, global market strategist at JP Morgan Asset Management. "People have been unwinding tail risk since the first-round results, so Europe is one of the best-performing markets in the year-to-date having lagged previously,"echoes David Vickers, senior portfolio manager at Russell Investments. 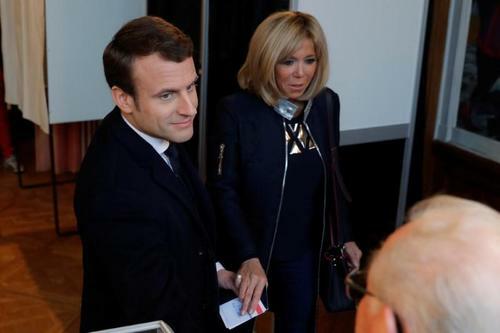 "Assuming that following today's vote we move towards a situation where Macron may actually be able to advance a reform agenda and make some progress on the fiscal side, that should provide a possible underpinning for French markets and some of that will spill over to other markets, especially in Europe," says Robert Tipp, chief investment strategist at PGIM Fixed Income. "There have been some anxious moments over the last few months with Austrian, Dutch and French elections and some uncertainty in Germany, but the bread appears to be falling with the buttered side up." What does Macron's win mean for the euro? "When we were looking at Friday's predictions for the euro, the average year-end forecast was $1.06 but there has been a lot of political overhang," says Russell Investments' David Vickers. "Now that we've had this result, we think those forecasts will be moved higher as political risks are removed and (that) frees up the European Central Bank to think more about unwinding quantitative easing in the face of stronger data." A stronger euro, of course, is not necessarily good for European companies which export abroad, as it means their products cost more for foreign buyers. The currency will be one factor to watch as this Europe-wide political risk is lifted. 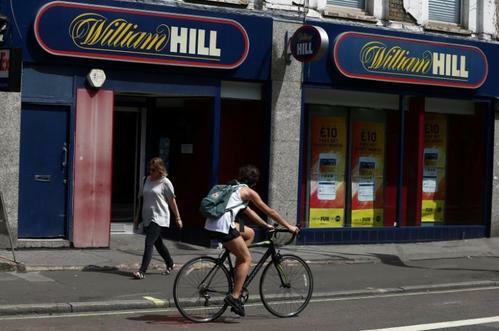 A reminder from British betting shop William Hill that Macron was 16/1 to win the election as recently as last November - he shot up from those outsider levels to the 1/33 odds-on favourite when betting closed today. The amount bet on this election bears testimony to the heightened interest it has drawn far and wide. 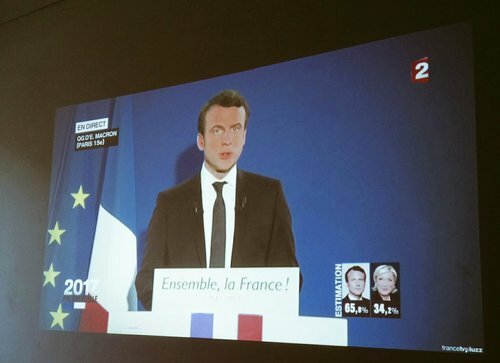 Close to 1 million pounds were bet on the vote, an increase of 4000 percent from the previous French election. 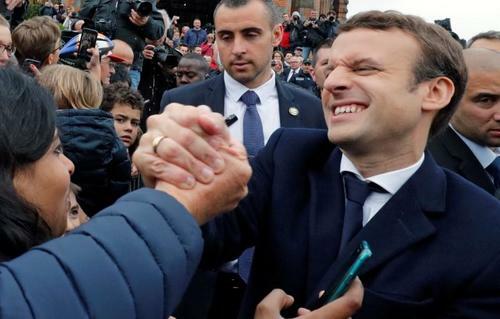 78 percent of bets were on Macron to win. The biggest bet on Le Pen was a 30,000 pound wager. Macron: Says does not ignore the economic difficulties or social problems or weak morale of the country. Says he "respects and understands the anger that many of you have expressed"
The U.S. dollar has hit a seven-week high of 113.085 Japanese yen on French election relief. The yen is a safe-haven currency which investors rush into in times of stress, and seem to be selling now that the most immediate political risk has been swept aside. And the euro has hit a one-year high against the yen, at 124.56 yen to the euro.